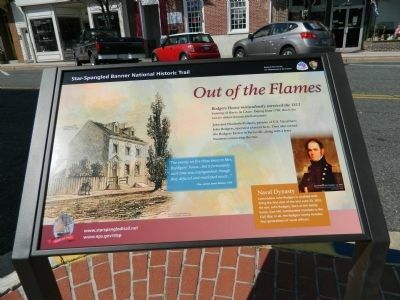 Rodgers House miraculously survived the 1813 burning of Havre de Grace. Dating from 1788, this is the town's oldest documented structure. John and Elizabeth Rodgers, parents of U.S. 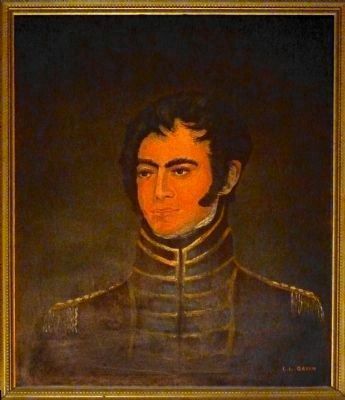 Naval hero John Rodgers, operated a tavern here. 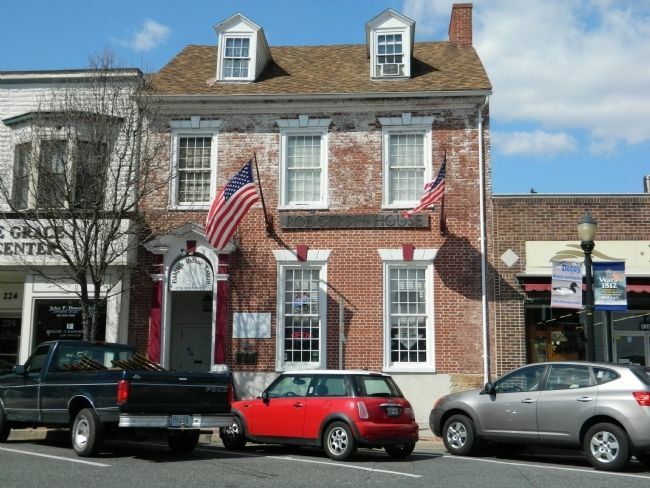 They also owned the Rodgers Tavern in Perryville, along with a ferry business connecting the two. 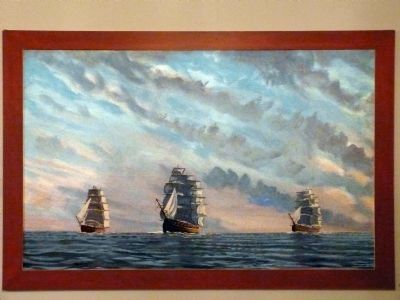 "The enemy set fire three times to Mrs. Ro(d)gers' house...but it fortunately each time was extinguished, though they defaced and mutilated much..."
Commodore John Rodgers is credited with firing the first shot of the war June 23, 1812. His son, John Rodgers, born at the family home, Sion Hill, commanded ironclads in the Civil War. In all, the Rodgers family includes four generations of naval officers. N. Washington Street and St. John Street, on the left when traveling south on N. Washington Street. Touch for map. 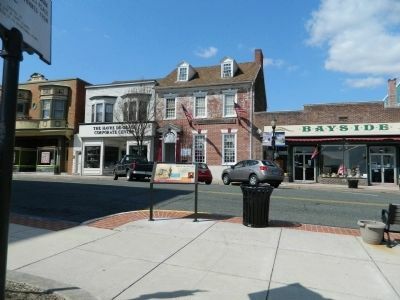 Marker is in this post office area: Havre de Grace MD 21078, United States of America. Touch for directions. Other nearby markers. At least 8 other markers are within walking distance of this marker. Rochambeau Plaza (here, next to this marker); War in the Chesapeake (about 500 feet away, measured in a direct line); "O! say can you see..." (about 500 feet away); Surprise Attack (about 500 feet away); No Respect (approx. 0.2 miles away); Matilda O'Neill Home (approx. 0.2 miles away); Old Post Road: Susquehanna Lower Ferry (approx. 0.2 miles away); Susquehanna Lower Ferry (approx. 0.2 miles away). Touch for a list and map of all markers in Havre de Grace. 3. 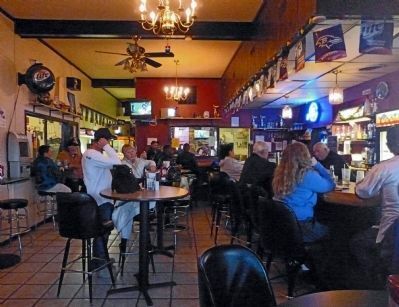 Rodger's Tavern is still operated as a tavern. — Submitted October 6, 2013, by Allen C. Browne of Silver Spring, Maryland. 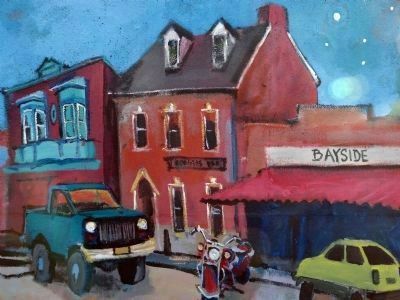 Detail of the Ezra Berger mural in Havre de Grace. Above the door in the Barroom of Rodgers House Tavern. 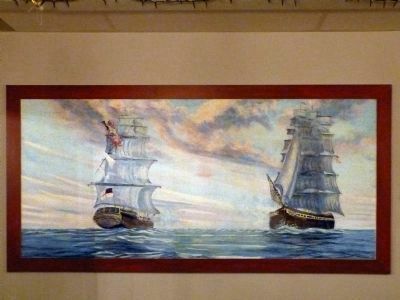 One of two Sea Battle paintings in the back dining room at Rodgers House Tavern. More. Search the internet for Out of the Flames. Credits. This page was last revised on June 16, 2016. This page originally submitted on April 4, 2013, by Bill Pfingsten of Bel Air, Maryland. This page has been viewed 561 times since then and 14 times this year. Photos: 1, 2, 3. submitted on April 4, 2013, by Bill Pfingsten of Bel Air, Maryland. 4, 5, 6, 7, 8. submitted on October 6, 2013, by Allen C. Browne of Silver Spring, Maryland.